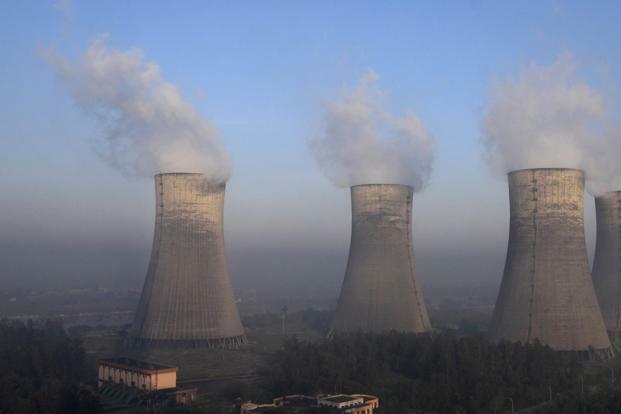 The Minamata Convention gives India five years to control and, where feasible, to reduce emissions from new power plants and 10 years to do so for existing power plants. A year after it was adopted, India joined the global mercury abatement agreement. Not surprisingly, India dragged its feet a bit, but in the end signed up to the Minamata Convention on Mercury on 30 September, a year after it was adopted. The convention that took almost six years to take final shape is named after the Japanese city that, since the 1950s, has become synonymous with deadly mercury contamination and poisoning. The Minamata Convention is part of a cluster of agreements that include the Basel Convention on the control of transboundary movement of hazardous wastes and their disposal, the Rotterdam Convention for managing international trade in hazardous chemicals and pesticides, and the Stockholm Convention on the restriction and elimination of the production and use of persistent organic pollutants. Mercury pollution arises from a variety of sources. There is mercury mining although this is overwhelmingly now only in China and some Central Asian countries such as Kyrgyzstan. It is also very heavily used in artisanal and small-scale gold mining to separate gold from the ore. Mercury is used in the chemical and petrochemical industries and also in household products like compact fluorescent lamps (CFLs) and thermometers. Mercury emissions to the atmosphere also take place from coal-fired power plants. Mercury is present in industrial effluents that are let into water bodies and the sea and enters the human food chain through the consumption of fish. This is, in fact, what caused the disaster at Minamata in the 1950s. Contaminated sites including old mines, landfills and waste disposal locations are also important sources of mercury pollution. In India, while generally it has not been part of the environmental discourse, mercury pollution concerns have hit the headlines at two places. At Kodaikanal, the scenic hill station in Tamil Nadu, controversy has existed for years following the closure of a thermometer manufacturing factory moved there by Pond’s from the US in 1983 and later acquired by Hindustan Unilever Ltd in 1998. The factory was shut down by a closure order of the state pollution control board in March 2001. The company has long maintained that it has followed all standards both of occupational safety as well as of remediation after closure, but civil society activists and some non-governmental organizations have been contesting these assertions. In December 2011, four years after an expert committee set up by the Madras high court submitted its report that appeared to support the company’s stance, the Union ministry of labour and employment submitted another report to the Madras high court on the claims made by ex-workers on their prolonged exposure to mercury. The matter is still pending there. The second high-profile case is that of the Singrauli region that falls in Sonbhadra district of Uttar Pradesh and also spills over into Madhya Pradesh. This is a huge private and public sector industrial and power-generating cluster. Some estimates are that around 17% of India’s power plant mercury emissions are from this cluster alone. Both official (Council of Scientific and Industrial Research, or CSIR) and non-official (Centre for Science and Environment) studies of the local population have revealed higher mean mercury blood levels and mercury levels in hair that have resulted in highly adverse health conditions for them, particularly in terms of respiratory disorders. In December 2009, based on a study carried out by the Indian Institute of Technology, Delhi, and the Central Pollution Control Board, the ministry of environment and forests declared Singrauli as being among the 43 most critically polluted industrial clusters in the country and imposed a moratorium on further expansion in the area till a credible clean-up action plan began to get implemented. Subsequently, however, the moratorium was lifted based on an action plan that did not even acknowledge or deal with the mercury pollution issue. Apart from Kodaikanal and Singrauli, Ganjam in Odisha is another area where mercury pollution has reached serious levels. Some experts have also drawn attention to what are called “confounding factors” that could affect absorption and accumulation of mercury in the Indian context of which exposure to pesticides is the most critical. Such factors may well explain high levels of mercury contamination (in addition to contamination of arsenic, cadmium, chromium and selenium) in surface water in Bathinda in Punjab, a major power-producing and industrial area that has emerged as a seriously cancer-prone area. Given their tremendous expansion inevitable over the next decade at least, it is imperative that like the US and China, India now establish and enforce mercury emission standards for coal-fired power plants (and for coal mining as well). Of course, such standards are also needed for emissions of sulphur dioxide and nitrogen oxides, which are also reaching very high levels and which also have deleterious health consequences. The Minamata Convention gives India five years to control and, where feasible, to reduce emissions from new power plants and 10 years to do so for existing power plants. But we need not wait that long. The chlor-alkali industry has moved to mercury-free technologies, but replacement of CFLs by mercury-free light-emitting diode (LED) lighting needs to accelerate quickly. Incidentally, it is only appropriate in more respects than one that this year’s Nobel Prize for Physics has gone to three Japanese scientists who invented LED technology. Mercury monitoring systems have to be put in place. The Minamata Convention sets no quantitative targets and, truth be told, has a fairly weak mandate. In its present form, some critics have rightly pointed that it is more in the nature of a legal and political milestone. But its significance should not be underestimated. For the first time, the world community now has a clear roadmap for the abatement of this extremely toxic pollutant. The onus is especially on countries like India to demonstrate proactive leadership using the convention as an anchor not only to meet treaty obligations, but, more fundamentally, to ensure a healthier and safer environment for its own people. The author is a Rajya Sabha MP and a former Union minister.